The video link from above is one of my favorites, its entitled “Lifting at Lunch with Coach Burgener.” For those of you that don’t know, that’s where we get the “Burgener Warm-up” from that we do prior to all of our Olympic Lifting wods. Mike Burgener runs a regional training center for USA weighlifting and coaches the Junior World Women’s Weighlifting team. He has contributed an incredible amount of time and expertise to our community. 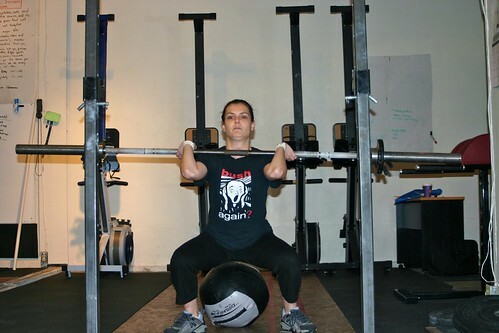 When we are coaching you through the lifts, there are numerous points we may focus on, but Coach Burgener wants you to always remember one thing: We are jumping the bar through a range of motion, developing momentum and elevation on the barbell and receiving the barbell in an overhead squat landing position. That’s Jumping, Developing momentum and elevation on the barbell, and Landing.